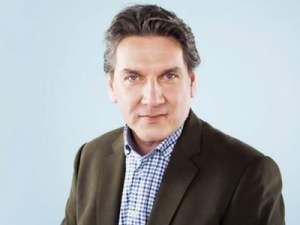 Apart from the obligatory listening (news and current affairs, mainly from RTÉ Radio 1 and Newstalk), I love ‘Live from the Met’ which is broadcast on Saturday evenings on Lyric FM; Doc on One, on RTÉ Radio 1, can often be very compelling and ‘Talking History’ on Newstalk is my ‘weekend is over’ signal. I have a digital radio, so I surf the world and regularly tune into ‘Desert Island Discs’ and ‘Front Row’ on BBC Radio 4 and ‘All things Considered’ on NPR. Radio has always been a big part of my life and I grew up in a household where the radio was *always* on. Whether it was talk radio or music, the house was never quiet. 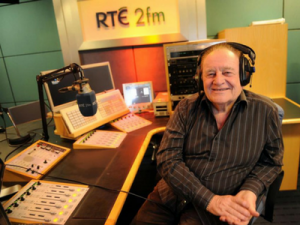 Larry Gogan’s ‘Golden Hour’ and of course the legendary ‘Just a Minute Quiz’ was also a firm favourite. 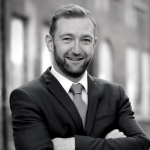 Radio is still a part of my daily routine – I switch on the radio as soon as I wake, usually to Morning Ireland to find out what’s on the news agenda for the day, and then once 9am hits, I switch to Pat Kenny on Newstalk. On my way home from work, I tune into RTÉ Radio 1’s arts and culture programme, Arena, and I’m a big fan of the Doc on One and ‘Book on One’ in the evening too. I try to catch Louise McSharry’s radio show on RTÉ 2FM when I can, it’s great for new music, and the independent Irish language station Raidio na Life also plays really interesting music and can be a lot more eclectic/niche than the bigger stations. As podcasting grows in popularity, good home-grown podcasts are emerging all the time, including the Irish Times Women’s Podcast and Juvenalia. Outside of Irish radio, I love listening to BBC Radio 6 music with Lauren Laverne online, follow podcasts like This American Life, Criminal, 99% Invisible, Strangers….and I’m always on the lookout for new podcasts to listen to so recommendations most welcome! Every morning, from waking up to scrubbing myself in the shower until I finish my breakfast, I listen to RTÉ Radio 1’s Morning Ireland. It’s as much of a routine as brushing my teeth and I find it great to get me up to speed on the latest news. I also enjoy listening to Radio 1’s Arena with Seán Rocks when I get home in the evening, and I often get great tips and insights into new exhibitions, shows and albums. 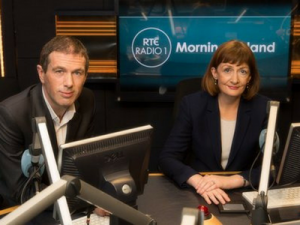 At the weekend, I regularly tune into Marian Finucane and I particularly enjoy listening to the different views on current affairs topics during the newspaper panel segment. Dil Wickremasinghe’s Global Village on Newstalk is great for interesting discussions on important social issues in Ireland and around the world. My favourite time of the week to immerse myself in radio is during the weekend. Saturday mornings generally start with a cup of coffee and breakfast while listening to Sarah Carey’s Talking Point and I would often find myself throwing on the headphones as I head out for a walk, tuned into Marian Finucane on RTÉ Radio 1 or The Sunday Business Show with Conall O Móráin on Today FM. During weekdays, I generally listen to Morning Ireland to check out what’s on the news agenda for the day before turning the dial to The Pat Kenny Show on Newstalk. 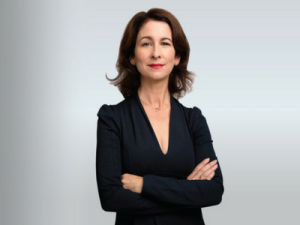 Since taking up their new evening time slot, I believe Chris Donohue and Sarah McInerney are delivering a solid show in Newstalk Drive. For more light-hearted listening, I tune into Off the Ball during weekday evenings or download the Second Captions podcast. My favourite features on radio has to be ‘Tony Cascarino’s Club Classic’ on The Dermot and Dave Show on Today FM. It never fails to make me laugh and always signals that the weekend is close. I’m a big fan of RTÉ Radio 1’s Arena with Sean Rocks. It always has great guests and I find it to be a great way of keeping up with what’s going on in the world of the arts as well as being useful in discovering new books and films. I also really enjoy RTÉ Radio 1’s Doc on One series which takes in a wide breadth of subjects and find them to be consistently interesting and illuminating. Though I listen to it in podcast form, This American Life is a radio program that shines a light on important issues that are often ignored in mainstream media, while also managing to present itself in an accessible and entertaining manner. Having listened to the programme since I was a child (it began 3 years after I was born! 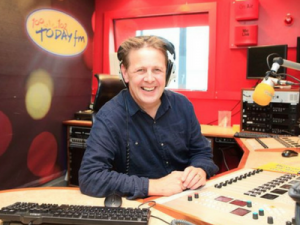 ), The Ian Dempsey Breakfast show on Today FM has always been a favourite of mine. The show makes me feel nostalgic; remembering many early starts racing into school with this playing in the background, from the kitchen and into the car, Ian Dempsey and his friends were the soundtrack to my morning. The show always has a good mixture of entertainment news, fantastic live music sessions, usually with local Irish musicians, competitions, and comic pieces in the form of its ‘Gift Grub’ feature created by Mario Rosenstock. The upbeat and humorous tone of Ian Dempsey makes for easy, enjoyable listening; perfect for a dreary Irish morning.